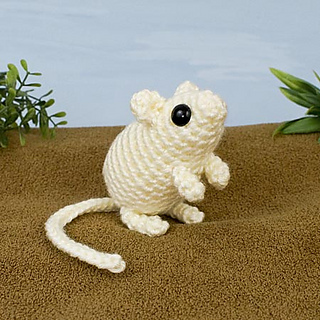 Please note this is NOT a complete pattern: this is an EXPANSION PACK for my Mini Mammals pattern. 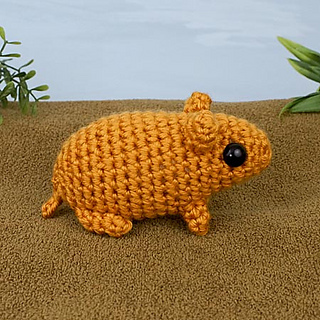 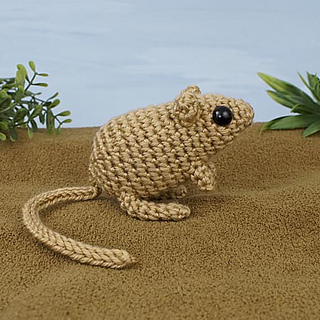 It includes all the modifications required to crochet a Hamster, Gerbil and Kangaroo Rat. 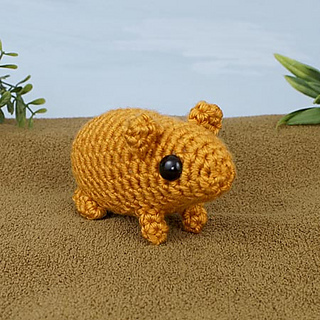 Hamster (orange in sample photos): Syrian (Golden) Hamsters are often kept as pets; they hoard food by carrying it in their expandable cheek pouches until they can store it. 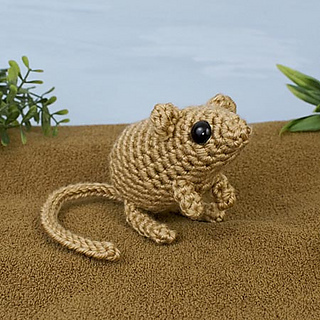 Gerbil (cream in sample photos): Mongolian Gerbils are often kept as pets; they are highly social and love to dig tunnels. 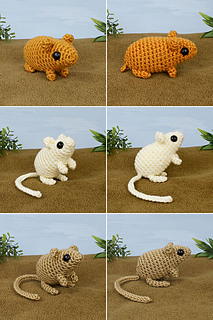 Kangaroo Rat (brown in sample photos): Small jumping rodents from the deserts of North America. 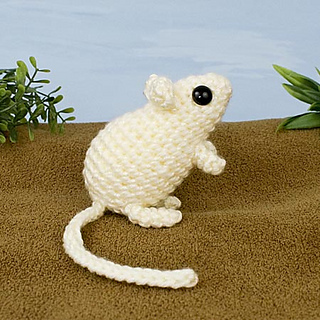 They can survive without drinking any water at all and collect seeds in their fur-lined cheek pouches to store. 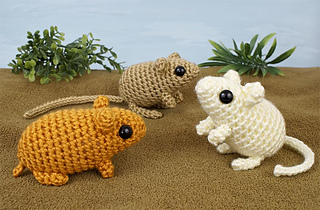 You can buy the original Mini Mammals pattern (Sengi, Jerboa and Mouse) together with this expansion pack at a reduced price here. 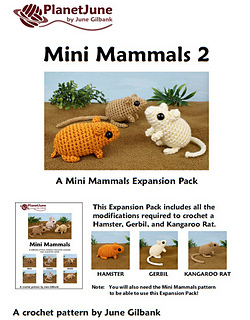 Or if you already have the original Mini Mammals pattern, the pattern link on this page will let you buy just the Mini Mammals 2 Expansion Pack.